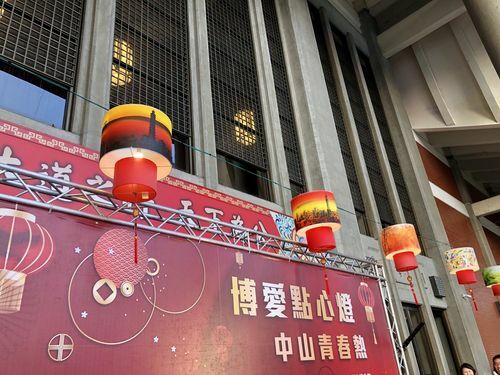 Over 100 traditional lanterns on display in the outdoor corridors surrounding the National Dr. Sun Yat-sen Memorial Hall in Taipei were lit up in a ceremony on Jan. 25 to welcome the upcoming traditional Spring Lantern Festival, which falls this year on Feb. 19. 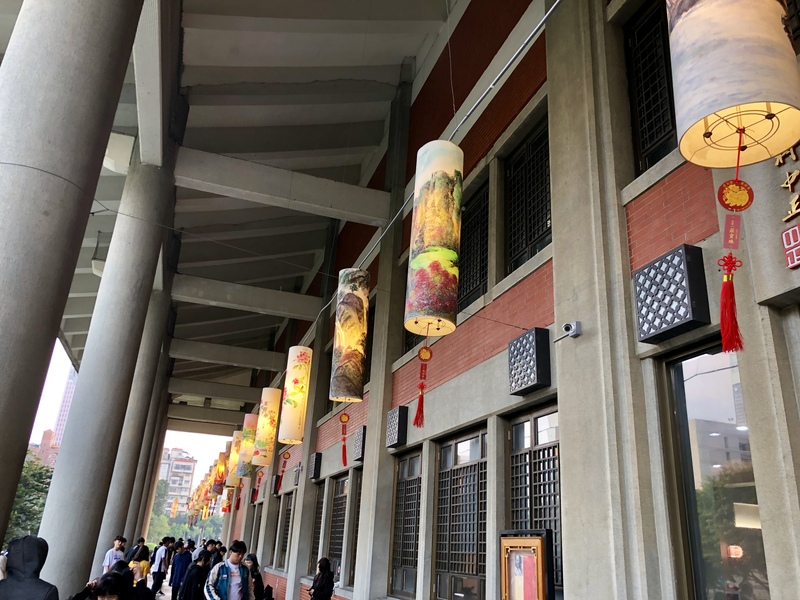 Round lanterns, including two that depict the iconic Taipei 101 skyscraper, hang outside the Sun Yat-sen Memorial Hall's main entrance. The 120 round and cylindrical lanterns on display are part of a collection curated by the hall since 2004. A row of tall, cylindrical lanterns lines the hall's eastern outdoor corridor. Many of the lanterns depict traditional brush paintings of natural landscapes. 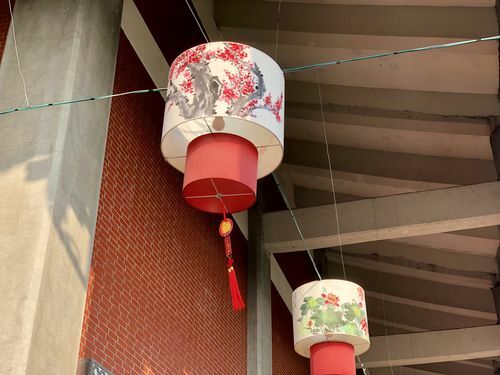 Some of the round lanterns depict auspicious Lunar New Year ornaments and objects such as scrolls, fire crackers and a jade pig. 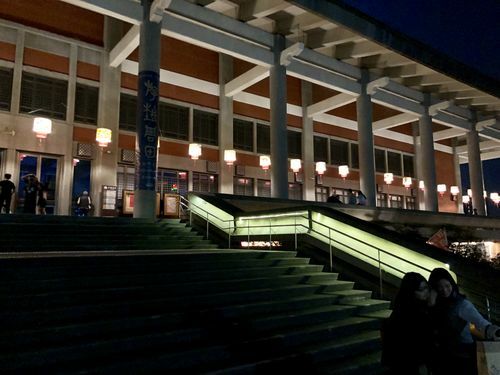 Lin Shu-nu (林淑女), who teaches art classes organized by the hall, said the jade pig reflects the upcoming Year of the Pig. 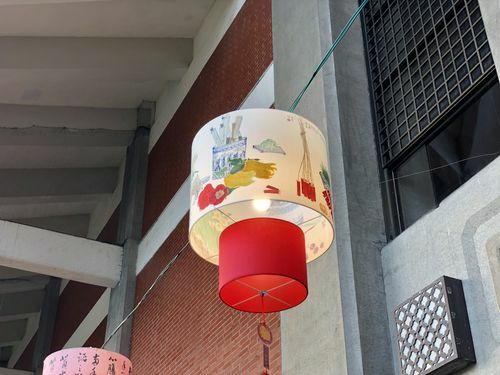 Also on display are lanterns decorated with traditional brush paintings of lotus flowers and plum blossoms. 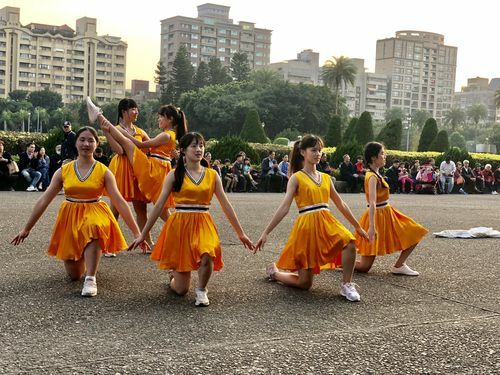 The Taipei Municipal Zhongshan Girls High School marching band performs at the Sun Yat-sen Memorial Hall ceremony held to welcome the upcoming traditional Spring Lantern Festival. 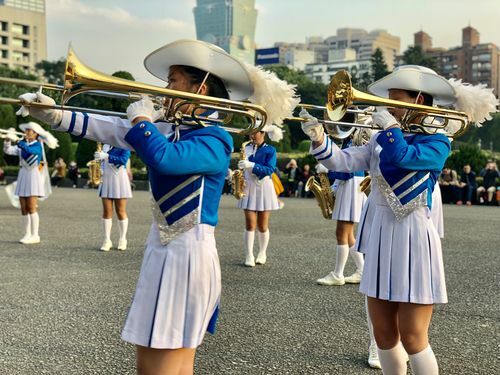 The marching band's color guard also performed at the event. Percussionists with the marching band do their part during the performance. 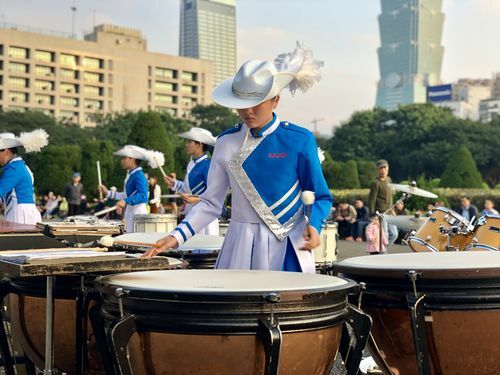 According to the school, the marching band and color guard was formed in 1959. The school's color guard poses at the end of the performance. 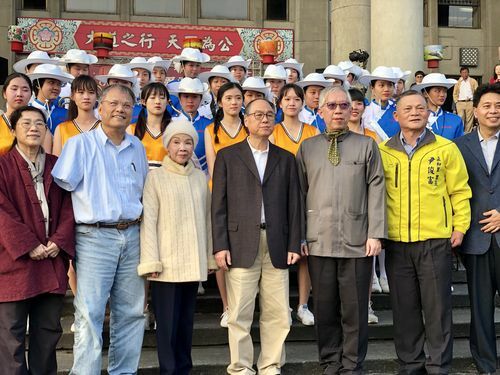 Sun Yat-sen Memorial Hall Director-General Liang Yung-fei (梁永斐, front, third right) poses with guests of honor, including Legislator Chiang Nai-shin (蔣乃辛, front, center), and the Zhongshan Girls High School color guard and marching band. 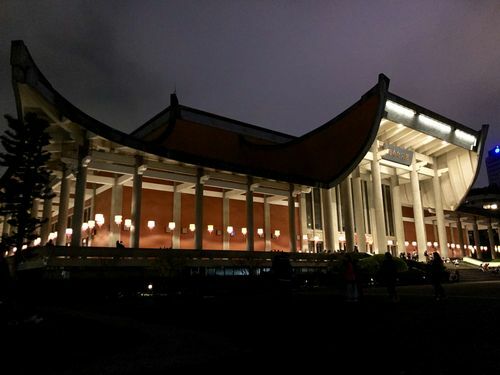 The lanterns light up the night and will be on display until Feb. 20.